When you plan for Leh Ladakh trip, it is better to plan the trip with a good number of days in hand. From Chandigarh to Leh Ladakh trip minimum 9 to 10 days will be in hand. Later after lunch visit Shanti Stupa, Sankar Gompa & local market. Overnight at the hotel. Its About 6-7 Hrs drive to reach Nubra valley from Leh, depending upon the breaks you take in between and route you take between Shyok and Wari La. Leh Ladakh is one of the famous and beautiful place in India. You have chosen a beautiful way to make your vacation memorable. Book your taxi to leh online now and be just a call away. RS Taxi service focus to provide its travellers with a high-end taxi service at affordable prices. Roam anywhere around the country. Be it tours across cities like Manali, Pathankot, Leh, Shimla, Dharamshala or others. One of the best Taxi Service provider in Chandigarh is 24*7 available for customer support. Prepare for a trekking in Ladakh but book your way to Leh first. Leh Ladakh is a land of heaven – a land that looks too distant to be true. Situated between the high Himalayas the place is unique in its own kind. One Way or round trips from Chandigarh to Leh are also available as per the customers choice. According to the need AC, NON AC, as well as 4 or 6 seaters are also available. Book as per the need and make your ride from Chandigarh to Leh comfortable and secure. Privately hired cabs or taxi allows one to enjoy the luxury of stopping wherever one likes and how many people to travel in a group. 9 days tour package for your Chandigarh to Leh trip are also handy. Book the ride to Leh !! What are the best things to do in Leh? Places like Nubra, Pangong, Lamayuru, Kargil etc. Are Cabs to Leh visit suitable? The fastest way to get to Leh from Chandigarh is by ‘car’. You can book any medium Tavera, Tata Indigo, Swift Dezire, Toyota Etios, Toyota Innova, and Tempo Travellers and that too at cheapest and affordable prices. 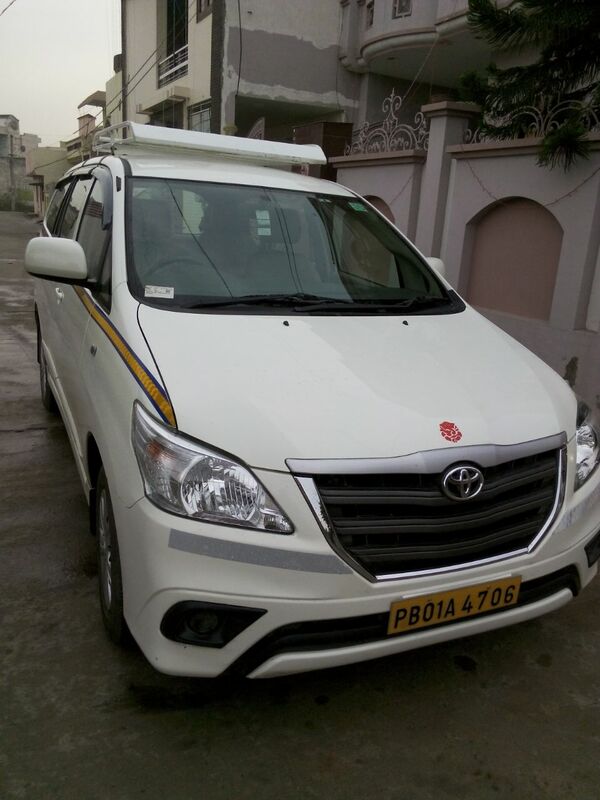 AC Innova taxi service from Chandigarh to Leh-Ladakh and vice-versa. AC Etios taxi service from Chandigarh to Leh-Ladakh and vice-versa. AC Indigo taxi service from Chandigarh to Leh-Ladakh and vice-versa. AC taxi from Chandigarh to Leh-Ladakh and vice-versa. AC Tempo Travellers from Leh-Ladakh to Delhi and vice-versa. AC taxi from Chandigarh to Leh-Ladakh Manali Shimla and vice-versa. Tags:- Chandigarh to Leh Ladakh Taxi Service,Leh Ladakh to Chandigarh Taxi Service. One Way AC TAXI FROM (Chandigarh) TO Leh (INCLUSIVE ALL). Innova – Rs. 28000/- inclusive all. Tempo Traveller 40,000/- inclusive all. Tour Package min 9 days. Tempo Traveller 5300 per day.